Over the last few years, we’ve seen an increase in the amount of divorces that involve two business partners. This type of divorce “arrangement” carries its own unique set of implications and complications, which inspired us to write up this post. 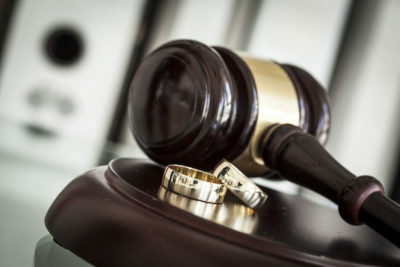 Today, we’re looking at how divorce proceedings differ for two business partners who have a stake in the same operation, and highlighting various tips to help you protect yourself during the upcoming legal proceedings. As always, feel free to reach out to us at the Law Offices of James P. White if you’re looking for more in-depth advice. The main thing to remember during your divorce is that your business matters and personal matters will be inevitably intertwined. This means that your actions and behavior impact not only your life at home, but the value and operations of your business as well. Needless to say, this is not an exhaustive list, but should serve as a general starting place when dealing with such a stressful and complicated situation. As far as any divorce proceedings, asset division, and any child custody/dispute matters go, these should also be approached carefully and deliberately when both of you have a stake in the same business. Never move forward into any of these arenas without qualified legal representation. Failing to account for your own interests could end up costing you in the long run. If you want to speak with a qualified family law attorney, remember to give us at the Law Office of James P. White a call. We offer free initial consultations, where we can discuss your specific legal needs in detail.